(04/18/2012) When you’re researching auto insurance and reviewing car insurance quotes, it can be confusing deciphering the different types offered. What are the main types of car insurance? Liability Insurance. In most cases, this is the minimum type of auto insurance required by states. Liability insurance simply covers the cost of repairing any property damaged in an accident that has been determined to be your fault by police. It also covers medical bills from any injuries. States typically dictate a minimum amount of liability insurance. However, many experts recommend you purchase more than the minimum if possible. Any costs above and beyond what is covered by liability insurance will ultimately be your responsibility, and could mean large out of pocket costs. It’s worth noting how the liability auto insurance quotes appear in your policy documents, as they use a special notation that can take deciphering. A policy that appears as 100/300/25, for example, offers $100,000 coverage for one person’s injuries in an accident, $300,000 total for one accident, and $25,000 worth of property damage coverage. This figure is also the amount that experts generally recommend for liability insurance. Collision Insurance. Liability insurance only covers the costs of damage to other property. Collision insurance covers the costs for repairs to your own car in the case of accident. If a car is totaled, your insurer will pay out the value of your car (at the amount it was worth before the accident). 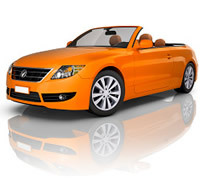 Collision insurance is usually best for those with newer or more expensive cars. Comprehensive insurance. Liability and collision insurance cover car accidents. What about all the other things that can damage your car, including weather damage, theft, animal collisions and more? Comprehensive insurance policies cover nearly every situation. It’s good to recognize that this coverage does come with a cost, but this additional you pay in premiums could be worth it for your car and your family. One way to reduce the cost of comprehensive insurance is to have a vehicle with anti-theft and tracking devices installed. Uninsured Motorist Protection. While requirements exist in almost every state for motorists to have insurance, some don’t follow the law. And if you get an accident with an uninsured driver, you may be stuck with the bills, even if the accident was not your fault. This additional insurance can help defray the costs of that dreaded scenario. Medical/Personal Injury Protection. Being in an accident involving injuries is extremely stressful and upsetting. But the costs can be even worse. Medical/Personal Injury Protection covers your medical bills along with your passengers. Remember that this additional insurance may or may not be necessary, depending on your health insurance and the coverage it provides. No-Fault Insurance. Only available in some states, this insurance covers injuries and property damage regardless of who is responsible for the accident. In some cases this insurance can be pricey, so remember other insurance may be more cost-effective and right for you. Gap Insurance. If you still owe money on your car, gap insurance helps cover the remaining payments in case it is totaled in an accident. Gap insurance is useful if you owe more on the car than you could get it sold for today, and/or if you owe more on the car than you could easily pay off in a lump sum. Some car lenders actually require gap insurance if you choose financing, so many drivers may carry this without realizing it. Remember – when considering your auto insurance, liability insurance is usually the minimum required, and the other types are potentially nice-to-haves.